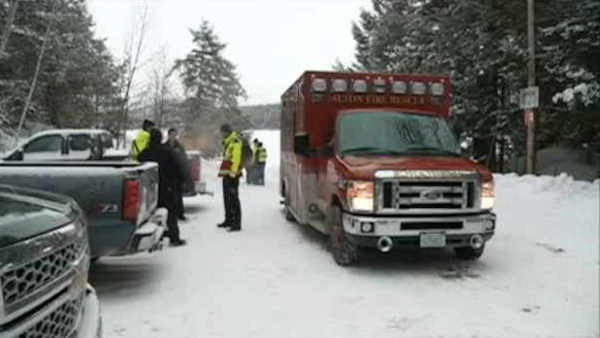 MOULTONBOROUGH, New Hampshire (WABC) -- Two people are dead, including a Westchester County teenager, after they fell into a lake in New Hampshire. 15-year-old Arthur Remy from Mamaroneck, his father and another man fell through the ice on Saturday while participating in an annual fishing derby. The teenager and the other man, a 62-year-old from Massachusetts, died. Remy's father survived and is being treated for hypothermia. Arthur and his father were snowmobiling at the time of the accident. Gov. Chris Sununu told reporters Saturday evening there have been multiple accidents throughout New Hampshire involving snowmobiles and sleds. Sununu confirms the fatalities in two different locations of Lake Winnipesaukee. Both accidents were on the northern end of the lake. The Republican governor said there is still one person missing on the southern side. No one has been identified. Thousands of people were on the lake for an annual ice fishing derby but Sununu said authorities don't believe there was any direct involvement between the derby and the accidents. He urged people to use caution and to avoid open water.